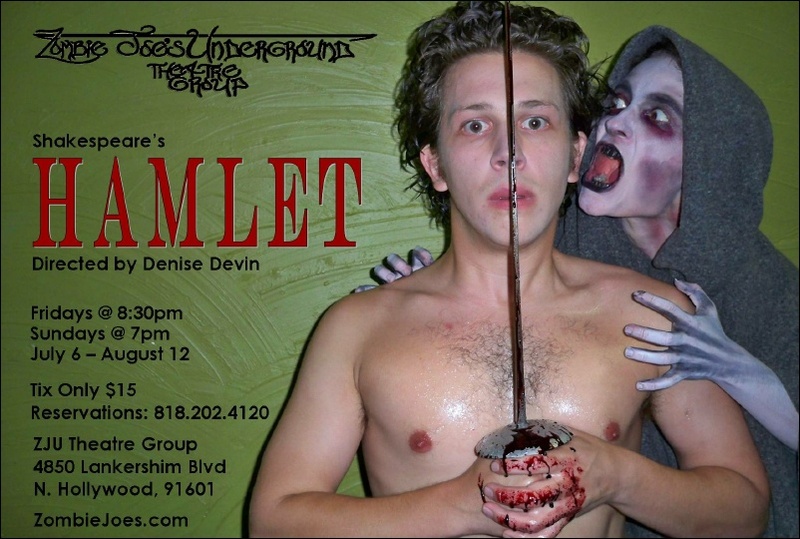 Zombie Joe’s Underground Theatre Group celebrates their 20th anniversary season with William Shakespeare’s greatest tragedy, Hamlet, the story of the young Prince of Denmark, who learns of his father’s murder and plots revenge! Starring Rafael Goldstein and Directed by Denise Devin. Fridays at 8:30pm and Sundays at 7pm. For tickets ($15) call 818-202-4120 or Click Here.